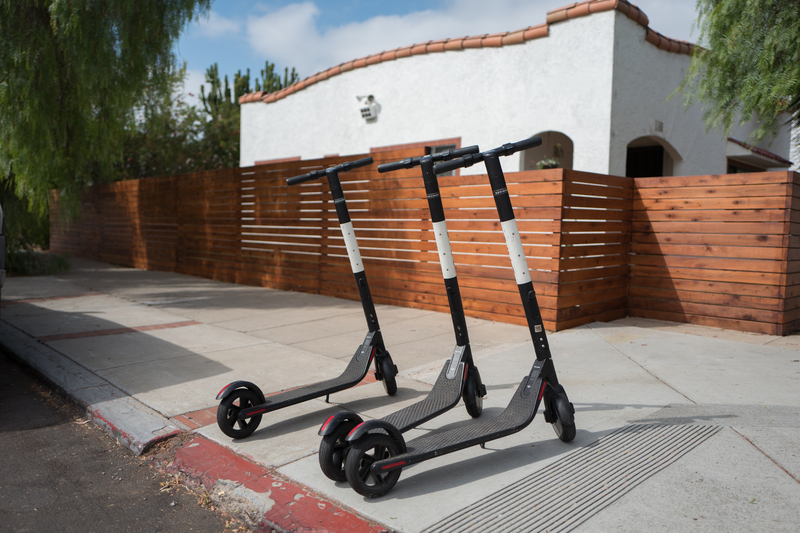 Bird-branded, Segway-manufactured electric scooters congregate before the Schoolhouse. A year ago, my wife and I were in escrow to buy the Spanish-style home, with plans to permanently settle down in San Diego’s University Heights neighborhood. But two days before our contingency period expired, Anne and I walked away, largely because we distrusted the selling agent and couldn’t reconcile with the seller about repairs that we deemed necessary—or as alternative receive reduction in the property’s price. The Schoolhouse—our name for its proximity to Birney Elementary—eventually sold on Nov. 3, 2017 for $596,000. Our offer was four-thousand more. The new owners cut down my favorite tree and erected a fence, which you can see behind the scooters in the Featured Image captured today using Leica Q. Vitals, aperture manually set to enhance bokeh: f/2, ISO 100, 1/5000 sec, 28mm; 10:28 a.m. PDT. If you’d like a primer on the woes of first-time house buying, please read my missive: “Home Buying Lessons from the Schoolhouse“.